Relationship coaching is a life coaching specialization that helps people find greater fulfillment in their personal and professional relationships. A relationship coach can help you set relationship goals, understand your current partnership, thrive inside your marriage, grieve a lost loved-one, or take your long-term romance to the next level. How do I know if a relationship coach is right for me? If you are experiencing difficulties with a partner, family member or friend, then you can benefit from using a professional relationship coach. Working towards a better future in all of your relationships will provide you with the opportunity to eradicate any fears or resentment that you are holding and discover how you can create better relationships with your loved ones in the future. Can a relationship coach save my marriage? Relationship coaching might help untangle love knots, but it doesn't purport to "save" marriages. Marriages often benefit from coaching, but each marriage has its' own unique set of difficulties, so it is impossible to say whether or not a marriage will grow stronger through the process of coaching. Do relationship coaches work with individuals or couples? Both. Although the goal of relationship coaching is to improve relationships, only one member of the relationship needs to participate in coaching for that to happen. Most coaches work exclusively with individuals on the topic of relationships but some relationship coaches work with couples or families. Can relationship coaching get my ex back? Relationship coaching can help change your beliefs and behaviors and as a result, it may change the way your ex perceives you, but it can’t directly affect your ex-partner’s behavior. Can relationship coaching help me with dating? Yes. Some relationship coaches specialize in all things dating - setting up an attractive and authentic dating profile, how to make conversation, and even how to get back on the dating scene after divorce or the loss of a spouse. Can a relationship coach help keep my family together? Families do benefit from coaching, but a family is a unique set of people, each of who has their own concerns. Some families might grow closer through the process of coaching, and others might not. How to choose a relationship coach? Each relationship coach will be able to help you in different ways, so finding the right person for you is essential. You can do this by searching the relationship coaches near you on Noomii.com. If you need help finding a coach, you can always get a free coach recommendation from a Noomii coach matching expert. Learn more about relationship coaching. Hi Joe, I would like to speak with you briefly to see if you're a good fit to coach me. Please contact me at your earliest convenience. Hi Laura, I would like to speak with you briefly to see if you're a good fit to coach me. Please contact me at your earliest convenience. Hi Cyndy, I would like to speak with you briefly to see if you're a good fit to coach me. Please contact me at your earliest convenience. Hi Meggie, I would like to speak with you briefly to see if you're a good fit to coach me. Please contact me at your earliest convenience. Hi Jim, I would like to speak with you briefly to see if you're a good fit to coach me. Please contact me at your earliest convenience. Hi Thomas, I would like to speak with you briefly to see if you're a good fit to coach me. Please contact me at your earliest convenience. Hi Larissa , I would like to speak with you briefly to see if you're a good fit to coach me. Please contact me at your earliest convenience. Hi Arianna , I would like to speak with you briefly to see if you're a good fit to coach me. Please contact me at your earliest convenience.  Hi Sonal, I would like to speak with you briefly to see if you're a good fit to coach me. Please contact me at your earliest convenience. Hi Michael, I would like to speak with you briefly to see if you're a good fit to coach me. Please contact me at your earliest convenience. Hi Amy, I would like to speak with you briefly to see if you're a good fit to coach me. Please contact me at your earliest convenience. Hi Wolf, I would like to speak with you briefly to see if you're a good fit to coach me. Please contact me at your earliest convenience. Hi Jeff, I would like to speak with you briefly to see if you're a good fit to coach me. Please contact me at your earliest convenience. Hi Henry, I would like to speak with you briefly to see if you're a good fit to coach me. Please contact me at your earliest convenience. Hi Kaleel, I would like to speak with you briefly to see if you're a good fit to coach me. Please contact me at your earliest convenience. Hi Shawna, I would like to speak with you briefly to see if you're a good fit to coach me. Please contact me at your earliest convenience. Hi Gayle, I would like to speak with you briefly to see if you're a good fit to coach me. Please contact me at your earliest convenience. Hi Karen, I would like to speak with you briefly to see if you're a good fit to coach me. Please contact me at your earliest convenience. Are you a Massachusetts Relationship Coach?